Get the beautiful pop of warm pinkish color of rose gold for a fraction of the price! This magnificent cuff bracelet is handcrafted out of exquisite copper and will add interest to any ensemble. Slip it on with your skinny jeans and boots for the perfect bit of polish to your casual look or dress it up with your favorite dress for stepping out on date night. This bracelet is simple enough to go with everything but will always have you dressed to impress. The John S Brana Anticlastic Texturized Copper Cuff Bracelet is produced with anticlastic raising, meaning that its edges curl upward away from the wrist, giving it an arced shape. Hand tools are used to create a fine texture on the metal, so that the light creates a splendid play of deep dark shadows and striking shine as it hits its surface. 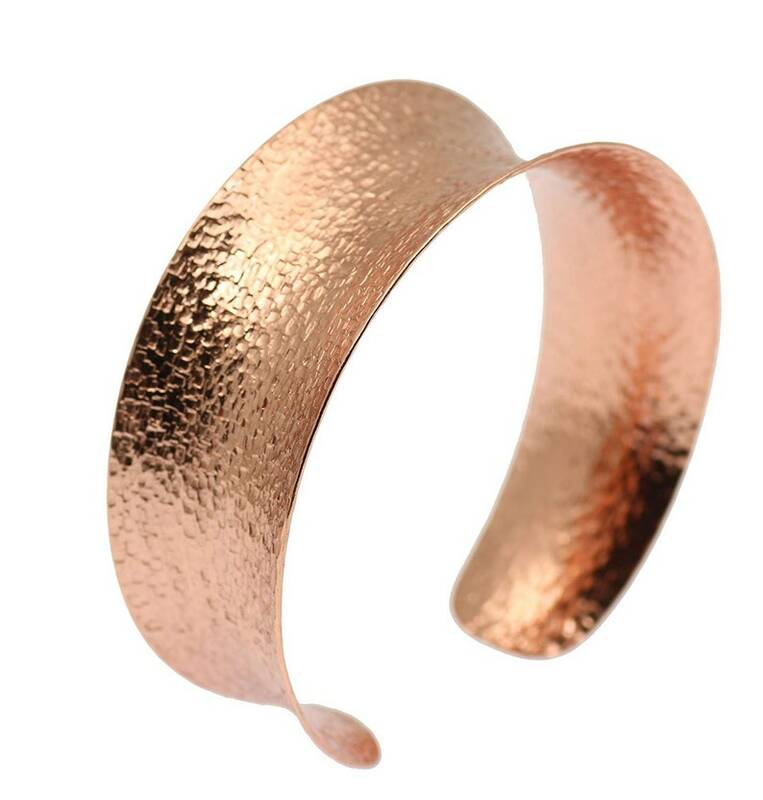 The John S Brana Anticlastic Texturized Copper Cuff Bracelet is a sleek piece for your jewelry collection, and it comes in a box that makes it just as perfect for gift giving. Jewelry designer John S Brana handcrafts jewelry that is suitable for a wide range of occasions, from formal to casual and everything in between! So whether it is a day at the office or a night out on the town, these jewelry items are sure to fit the bill. You will also find lots of coordinating items, so you can give the gift of a complete set, comprised of earrings, a necklace, bracelet and ring. In addition to crafting beautiful Copper jewelry items, John S. Brana also works in a range of other metals, such as aluminum, brass, copper, silver, gold and bronze. SIZING: For proper fit, measure the length around your wrist and add ½ inch. If your wrist measures 7 inches in length, order a size 7 1/2. 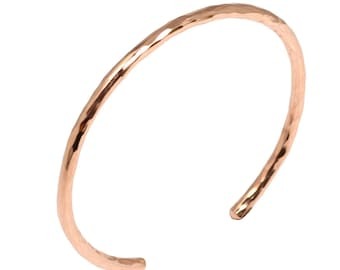 Un-coated, the John S. Brana Anticlastic Texturized Copper Cuff Bracelet's luster and shine can easily be cleaned and maintained with a mild Brass or Copper metal cleaner (test first). Apply with a soft toothbrush or cloth, gently scrub, then rinse thoroughly with warm water, and dry/buff with a soft cloth.